Microsoft has been aiming to entrench its popular Xbox Live service into both the iOS and Android ecosystems for several years, having introduced its first Xbox-compatible app SmartGlass in 2011, along with a few other iOS and Xbox hybrid apps. 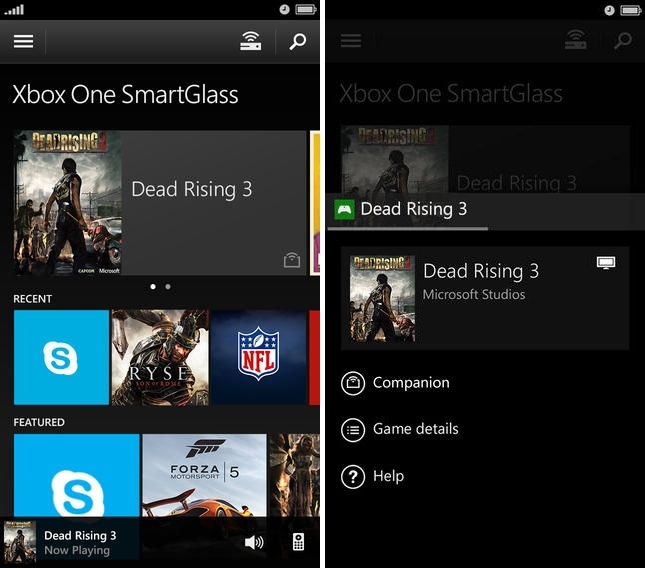 SmartGlass, which is also available for the Xbox One, is designed to be a companion app that allows gamers to access and control their Xbox game consoles to browse content and track achievements. The SmartGlass app also allows an iOS device to be used as a remote control and a keyboard for the system. Microsoft may be aiming to expand Xbox Live on iOS even further, according to a new report from The Verge, which suggests the company wants to poise Xbox Live as an optional replacement for Game Center. While Microsoft has experimented with achievements on iOS and Android recently, the company is planning to push Xbox Live cross-platform in a big way soon. Sources familiar with Microsoft’s plans tell The Verge that Microsoft is building a platform to extend Xbox Live functionality to iOS and Android games. Back in December of 2012, Microsoft experimented with an iOS game that provided gamers with Xbox Live achievements for reaching in-game milestones. The company plans to expand on this concept, making it easier for iOS and Android developers to incorporate Microsoft's framework into games on their respective platforms. Microsoft already offers tools that allow Xbox Live functionality to be integrated into games, but to access them developers are required to be certified through Microsoft, which is a significant barrier to entry. According to job listings found by The Verge, Microsoft is currently assembling a team that will create an "open-source, lightweight, extensible and scalable" framework that spans multiple platforms including the Windows Store, Windows Phone, iOS, and Android. Such a system, with fewer restrictions, could make it easier to integrate Xbox Live into apps and games. Apple and Google both have proprietary game progress tracking in the form of Game Center and Google Play Games, but Microsoft appears to be aiming to get Xbox Live on all platforms, leading to a unified achievement system that would work with multiple systems. But...but...but.... this is MICROSOFT we're talking about here... they can't *possibly* do anything GOOD, right? Right?!! Guys....???? right...? This is why I love Microsoft more than Apple (when it comes to services, calm down). Microsoft will do everything possible to get things like OneDrive, XBL, and Office onto Apple devices, but will Apple do the same with their counterparts? No. They're way too proud to even think about going down that road. Keep your facts out of this, we need to have more blind fanboy rage and hate. I'm sure the app will only take a day for them to develop. They just don't care about quality. Apple ain't exactly been the poster child for software quality these days. You might want to review some the the stories posted on this site over the last few months before you start calling the kettle black. "...because we know nobody uses our mobile devices." Oh boy, I can't wait for Microsoft to copy someone else's free service but charge a subscription fee for it. Can you imagine? It'll be just like Game Center, but cost $20/year for no apparent reason! How exciting - the possibilities are limitless. Actually the SmartGlass app on iOS is pretty good. The UI is nice and it never fails to work as advertised. I can check achievements, use my iPad or iPhone as a keyboard, or even as a controller (which worked great when my son had several friends over recently and we were short a few controllers). As someone well vested in the Apple ecosystem and also loves Xbox, this is great to hear! The SmartGlass app for the One is pretty good, but it could certainly improve. Xbox 360 is hands down the best gaming experience out there! Way better than sony & these silly little apps people like to play flappy bird, candy crush etc. Although not a fan of windows computers Apple could learn a thing or two about gaming from Microsoft. I find it ridiculous that a $2,000 rmbp has a integrated graphics card & a $500 asus w/window has a dedicated graphics card.